Carefree Acres is located in the beautiful Blue Ridge Mountains of Clarke County Virginia near the Shenandoah River. Our community is governed by the Carefree Acres Homeowner's Corporation who elects 7 board members and 4 officers each year. 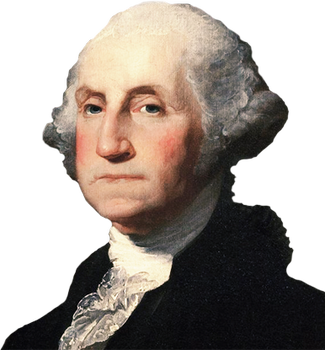 The community consist of five miles of corporation maintained gravel roads. Horses are allowed in this equestrian friendly community and we also welcome chickens, goats, llamas and peacocks. If you would like to report a non life-threatening incident or hazard in our community, please click here and submit a report to the corporation secretary. Our neighborhood watch program is up and running. Contact the block captain Dan Locke for information or concerns in our community. Call 703-220-1704. 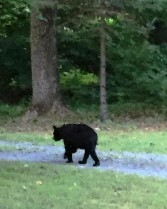 New Bear Sighting on Carefree Lane. It was taking a leisurely stroll down the driveway. Bears can't resist bird feeders and please do not leave pet food outside. There have been reports of bears coming up on decks and porches. 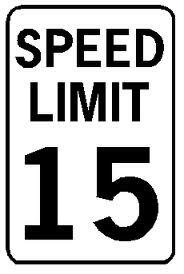 For the safety of everyone, please observe the 15 mph speed limit in our community. You may report speeders using our "Incident Report."